Blue seascapes and snow white yachts in slider gallery, that's what we see entering this store. The spirit of marine romantics is perceptible through the whole theme. Three promo banners make the impression of soaring over the slider images. Featured products are arranged in four columns and have descriptions, prices and buttons at the bottom of each. Navigation is thought-out and accurate. Excellent theme perfect,no configuration so simple. But among the nautical shop and definitely the best. 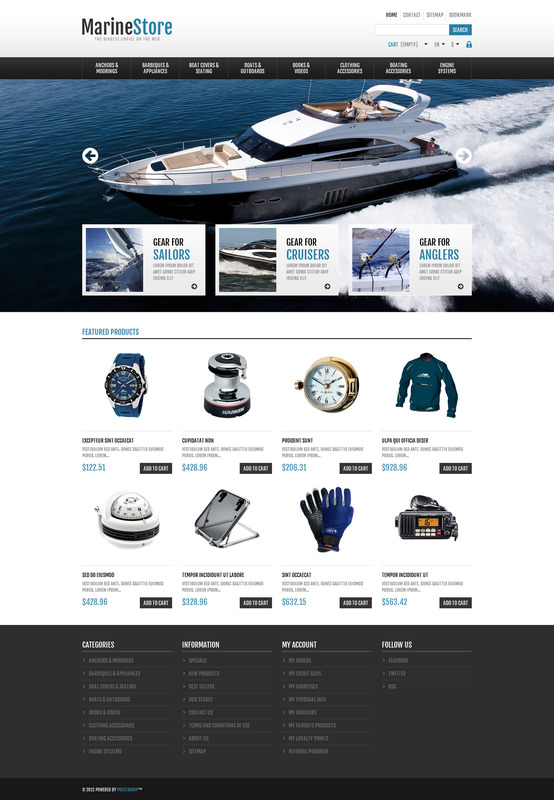 The template is best for online stores selling marine gear and apparel.